Isolation - What about motor isolation base for P3-24 TT? Rega P3-24 TT is known to have a low vibration motor compared to the Planar TT and lower series of Rega TT's. In that case, is motor isolation base necessary? Will there be any improvement on P3-24? Yes, definitely! I have personally done this tweak on my P3-24 TT and P5 TT with big improvement. 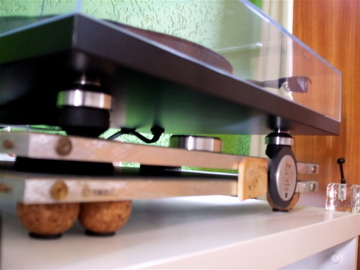 ISOLATION - an important concept in all expensive turntables is the whole idea of this tweak. 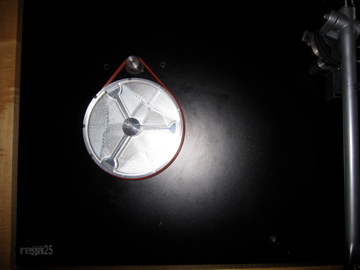 received friday the isolation outboard for the motor and the spacer, very good manufacturing once more, the isolation base is really solid and very heavy, you really feel like you're getting your money's worth for shure. i just finished installing them and, wow,.. the difference was even more readily discernible than with the pulley and double belts, noticed an immediate improvement in levels of detail, and much deeper, and expansive bass, sound is more controlled also, so you do get a deeper bass but also a bit faster than before, which can only be a good thing for rega lovers, very black background, noise is now non existent. so all in all, thank you once more for giving me the opportunity of lifting my rega to new heights, your candy store for rega owners is getting sweeter and sweeter. send a couple of fotos from completed tweaks, mounting them was a breeze. i personally found it a bit softer to mount the motor than the hard steel washers normally used, and if you put a bit more of strength on it, they will be just as tight against the motor, or even tighter than the steel washers,... but without so much compression on the flanges of the motor, works better for isolation also, (just an idea). Thanks Francisco for the nice pictures and your great idea! 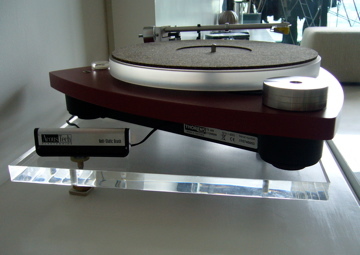 Rega P25 TT, the special 25th anniversary edition, is a capable machine sharing some "attributes" of the famed Planar 9 TT. 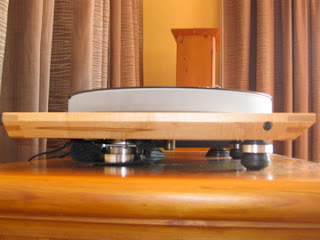 Light and rigid plinth with wooden frame, anti-vibration motor circuit (though on budget) and a proven tonearm with upgraded tonearm wires (RB600), Rega P25 TT was an excellent upgrade over the Planar 3 TT which had a wobbling motor hanging on rubber band. P25 TT is a gem to it's owner. Even today, many are not willing to trade-in this unique TT for the newer models. 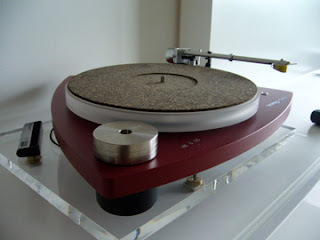 In fact, if properly tweaked (and with a matching cartridge) it could sound so fabulous that, perhaps the next Rega turntable you may ever consider upgrading to is the P9 TT!
" 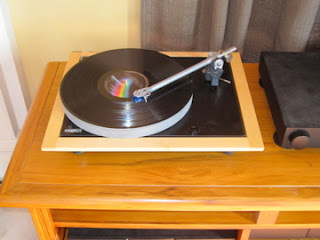 The turntable sounds fantastic now!" Your acrylic platter and aluminium feet arrived just in time for the Easter break so I have had time to install and listen. Like all your other upgrades I have made with my P25 there was significant improvement in all areas - most noticeable being soundstage imaging and further refinement in base control. I now have a TT I am very happy with.It has been an interesting journey applying your upgrades step by step and well worth the effort and expense. Thank you for all your support and for making such high precision products. Having made such a big leap in the sound quality of my TT I am finding it difficult to stop there and am curious about the merits of upgrading the wiring in my RB600 arm with something like the incognito rewiring kit (either in silver or copper) Do you have words of wisdom on going down that path? As I said I am already very happy with the sound I have but am curious to see whether I can take it to another level without spending large sums on a new tonearm or deck. The turntable sounds fantastic now.It's like having a whole new TT! For Thorens lovers, TD309 is a real beauty! 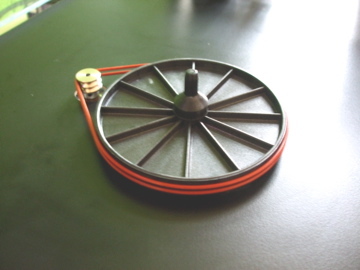 It is a well-designed 3-point (Tri-Balance) sprung belt-drive turntable with aluminium sub-platter, underslung counterweight and glass platter. It also comes with electronic speed control for easy switching from 33.3 rpm to 45 rpm or vice versa. The owner of this beautiful award-winning Thorens deck shown below is Mark Cowan, a British citizen, residing in Kuala Lumpur.
" 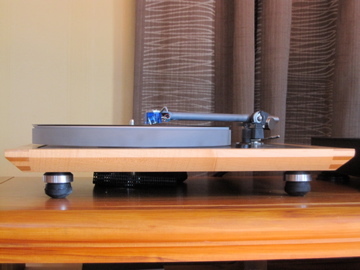 Is there any tweak for this superb turntable to improve its sonic performance? " it's not unusual for us (tweakers) to ask a question like this. May be more strange if we don't! Mark has upgraded the 12 mm glass platter with a 24 mm acrylic platter (from me), a standard practice for those who find glass platter sounds a bit too bright. 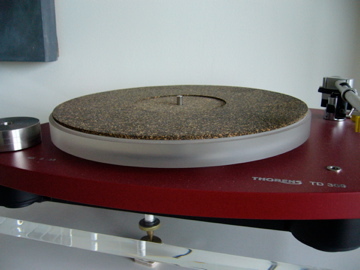 By further adding a Thorens rubber/cork mat to the acrylic platter, the effect is even better and many who have tried this combo would gladly agreed. Have a closer look, don't you think the Thorens TD309 looks pretty on the acrylic isolation platform besides using it primarily for isolating the deck from ground-borne vibrations? Sometimes in tweaking, we face the dilemma of "look" or "performance"; at times we may have to sacrifice one for the other. But in this case, you are lucky; it's both look and performance, perfect match! In addition, Mark uses my brass record clamp with bull's-eye level to hold the record in place as well as to level the acrylic isolation platform with brass points and brass footers. 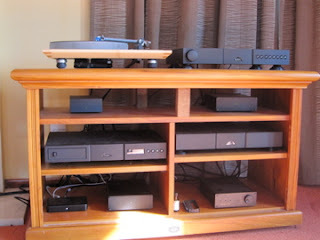 Oh yes, the upgraded deck deserves a good cartridge too and Mark has wasted no time to replace the stock entry level Audio Technica MM cart with a Rega Exact unit. You can imagine how wonderful it sounds now! Thanks Mark, enjoy more analogue music! first and foremost dank you for a site that is like a candy store for us , rega owners . must complete, and good prices also......."
Make a guess ... what was Francisco's first grasp from my candy store? 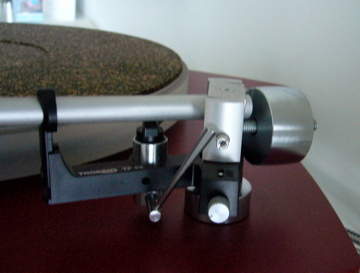 A proud owner of Rega P3-24 TT from Netherlands, the Land of Tulips, he cleverly picked double pulley, silicone belts and aluminium feet for his Rega with Ortofon Blue. Good choice indeed! Lucky for him, mail to Netherlands seemed to be fast (compared to US). Upon receiving the items, Francisco was quick to install them and tested his TT immediately . Truly satisfied with the sonic improvements, he sent me not only beautiful pictures, but a video link for me to share with you here. i just finished mounting the double pulley upgrade, plus silicone belts, en aluminium feet, what can i say that hasn't been said. 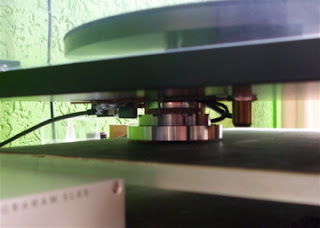 -the first i noticed is that the motor runs smoother, and is not a little difference, is immediately noticeable so much that if I hadn't seen the subplatter spinning i wouldn't know it was on already, that's how smooth it turns, with that comes also much more torque and precision, i had noticed already that the rega was a bit slow to come on time, but now it begins spinning almost instantaneously, i am feeling almost like i own a direct drive turntable, with that comes a really low noise floor, a sensation like everything is sounding more effortless, and with more swing to it, the sound is generally speaking more precise, with a bit more deep bass, and especially is easier to listen that the notes start and stop a bit faster, the timing, and drive that is so well known from rega turntables just improves. 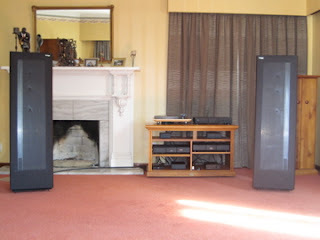 so all in all very worthwhile upgrades, and very good value for money. i will come back for more. Thank you Francisco and hope my candies will continue to sweeten your days! When we travel from one part of the world to another, we are always being reminded to pack along a voltage converter for our electrical appliances. 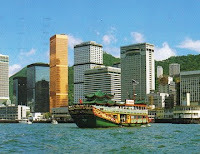 Electricity power supply differs around the world in voltage and frequency. This is nothing new to us. Never occur to us frequency of power supply would be an issue. You only realize this when you start spinning Lp's on your Rega turntable! What has gone wrong? It's not spinning correctly! But I have not forgotten to use a voltage converter.....! Where is the trick? Is it the motor? Bingo! The motor! The speed of the ac synchronous motor for Rega TT is dependent on the frequency of the power supply. Take a look at the Rega motor (e.g. Premotec 31813 series) : we notice that the motor windings are designed for dual voltage so that the same motor can be used for both 220V and 110V turntables. The difference is : a 6.8K ohm resistor is added in series for operating with 220V supply. 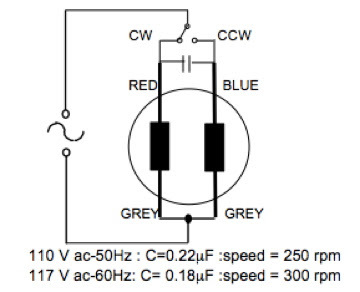 Take note also different phasing capacitors are used for different frequencies. At 50Hz and 60Hz, the motor speeds are respectively 250rpm and 300rpm. 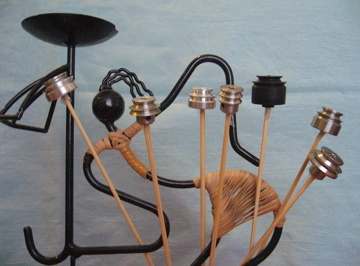 To adjust for this speed difference for different regions, pulleys are of different sizes (smaller for 60Hz) whilst the sub-platter size is kept constant. This explains why a US version TT cannot work properly in Europe even if a voltage converter is used or even alteration has been made to the voltage circuit. We've overlooked the fact that motor speed is dependent on pulley size. 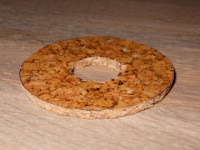 Turntable is a bit more "fussy"(like us) .... isn't it? What if I have a TT PSU? This would not be a problem if you are already running your system with an external power supply (TTPSU). You may be curious why is it so? 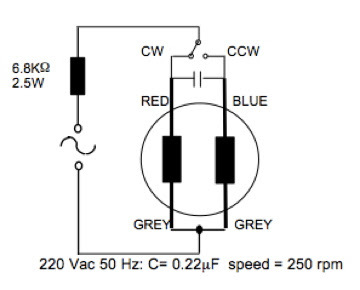 This is because TTPSU is already crystal-locked to a fix frequency with a matching pulley (e.g 50Hz PSU/50Hz pulley), therefore the frequency of the main power supply would not affect your motor speed at all. You only need to get a 24v wall wart (AC adaptor) which suits the local voltage for your TT. 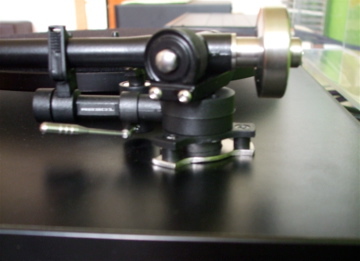 By chance I came across someone who purchased a Rega TT in Hong Kong (230V/50Hz) which refused to perform when brought back to South Korea (230V/60Hz). In this case, voltage is the same; it's the "50Hz/60Hz" problem. I also encountered another even more interesting case in Brazil (one of the few countries in the world to use both 110V and 230V for everyday appliances). 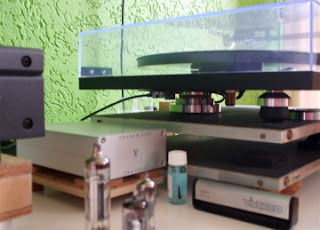 Moved within Brazil, but happened to be a region of different voltage/frequency, a poor friend of mine could not get his turntable speed right. Again it's "50Hz/60Hz" problem. Glad to know that now they are happily spinning Lp's on their turntables after changing the pulleys. "Keep both your 50Hz and 60Hz pulleys, you probably wouldn't have problem spinning your lp's on Rega TT's anywhere (in 50Hz or 60Hz region)." I told them. I received the package last weekend and now have my turntable up and running. Your upgrade works very well and I've been having a great time getting the vinyl out. My kids are very interested in this ancient technology.